Best Recruitment Agencies London, UK: If you are looking for a job, London offers a plenty of the jobs. But there is a stiff competition too. Here we will discuss on online job recruitment agencies for office support Staff and IT Jobs in East London. You need to work hard to find the right job. It becomes easier to find discerning job, recruitment agencies can be of great help. There is a glut of recruitment agencies in UK; you need to choose right one among them. Following given are some of the best recruitment agencies that can help you find your dream job. CG Consultants is a nationwide and international recruitment consultancy which specializes in IT, professional engineering, technical and scientific recruitment. The consultancy has earned a name since its establishment in 1976. It works with a mission to listen to its clients and help them fulfill their expectations. Trained professional at the consultancy applies their industry knowledge and research to shortlist the candidates before submitting. Based in Surrey, CG Consultants holds the ISO9001 certification and works with consistency and professionalism. www.cgconsultants.com is the official websites. You can also call them at 01276 682 733. Attic Recruitment is one of the most reputed recruitment agencies in London. It provides professional and discerning services to its clients and right opportunities to candidates. Attic specializes in PA and secretarial jobs. To help with the right recruitment, its trained staff members understand needs of clients and customers. It was founded a decade ago and is based in West London. 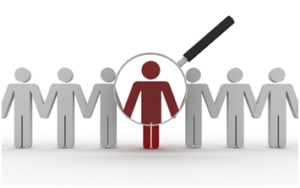 It focuses on right matching of candidates with potential employers. 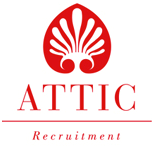 For more information, you can visit its website at www.atticrecruitment.co.uk. Hydrogen Group is one of the well known London based recruitment agency. It helps with careers across the nation as well as across the globe. It places candidates in a wide array of jobs which include science, technology, finance, mining, oil and gas, legal sector to name a few. The agency is based in the East cheap in London and has its offices overseas in countries such as America, Norway, Australia, Dubai, Hong Kong, Singapore etc. The agency helps candidates with personal as well as professional growth. Be it an employer or job seeker, Hydrogen Group offers you a great experience. www.hydrogengroup.com is the official website of the agency. You also can search jobs at it. The Maine Group is a London based recruitment agency which offers recruitment solutions in various categories which include HR, Sales, Marketing, Secretarial and much more. It pulls best talent. Working for over 30 years in the business, Maine Group focuses on clients and candidates alike. Job satisfaction is there motto; it offers refund to the clients if they are not happy with the candidates they have recruited. You can visit its website to find more at www.themainegroup.co.uk . Capita Resourcing is one of the leading London based recruitment agencies. It provides jobs in IT, SAP, Big Data, Data Analytics, infrastructure industry etc. They are experts in talent acquisition and sources best employees to satisfy needs of the clients. They take care of every stage of recruitment process and align their services to client requirements. They follow people-powered approach and do their best to help unlock your business potential. For more information, you can visit its website at www.capitaresourcing.co.uk. Based in Covent Garden, Reed Online Ltd is one of the leading online recruitment agencies in UK. reed.co.uk is the official website of it. It caters to above 4 million jobseekers. You can narrow down your job search options by category, salary place etc. You can register your CV at the site and fins a right job for you. You can receive email alerts by signing up for it at its website. There are several resources available online such as interview advice, CV builder etc.